Tamarindo Recycles is proud to inform you that the Municipalidad de Santa Cruz has entirely taken over the pick-up and removal of garbage from Tamarindo. The payment for this service is included in your yearly municipal taxes and you are NOT REQUIRED to pay anything additional for this service. The Municipality is concerned by the fact that some other “pirate” trash collectors are collecting garbage from Tamarindo residents and charging fees for their services. These pirate trash collectors, according to the Municipalidad, do NOT have the necessary permissions to dump the garbage they collect in approved garbage dumps—they are dumping it illegally in unapproved sites, randomly polluting the countryside. If your household garbage is being removed by someone who is asking you for money, please do not pay them and please to not allow them to remove your garbage. IF YOUR HOUSEHOLD TRASH IS NOT BEING PICKED UP, PLEASE CONTACT TAMARINDO RECYCLES. WE CAN HELP THE MUNI FIND YOU. YOU HAVE ALREADY PAID FOR THIS MUNICIPAL SERVICE. 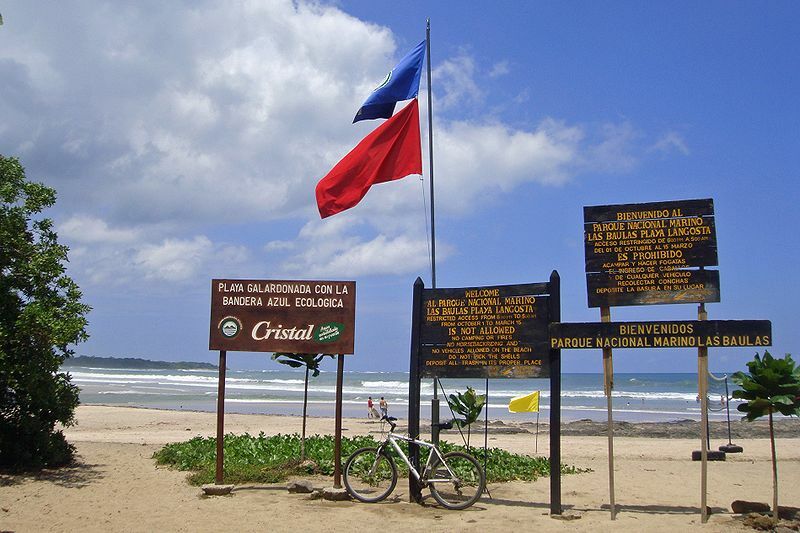 Help us to keep Guanacaste free of illegally-dumped garbage! Tamarindo Recicla orgullosamente les informa que la Municipalidad de Santa Cruz se ha encargado completamente de la recolección y de la eliminación de la basura en Tamarindo. El pago para este servicio está incluido en sus impuestos municipales anuales y NO SE LES REQUIERE nungun pago adicional. A la Municipalidad les preocupa el hecho de que otros servicios “piratas” de recolección están recogiendo la basura de los residentes de Tamarindo y están cobrando por sus servicios. Estos recolectores “piratas,” según la Municipalidad, NO cuentan con los permisos requeridos para botar la basura en los sitios dedicados a este uso—la están botando ilegalmente en sitios no aprobados, ensuciando, al azar, la naturaleza. Si la basura de su casa está siendo removida por alguien quien le está cobrando dinero, por favor no les pague y por favor no les permite llevarse su basura. SI LA BASURA DE SU CASA NO ESTÁ SIENDO RECOJIDO, POR FAVOR CONTACTE A TAMARINDO RECYCLES. NOSOTROS PODEMOS AYUDAR A LA MUNI A QUE LES ENCUENTRE. USTED YA HA PAGADO POR ESTE SERVICIO MUNICIPAL. ¡Ayúdenos a mantener a Guanacaste libre de la basura botada ilegalmente! Finca Shambalah is a wonderful property located in Playa Lagartillo in the province of Guanacaste. 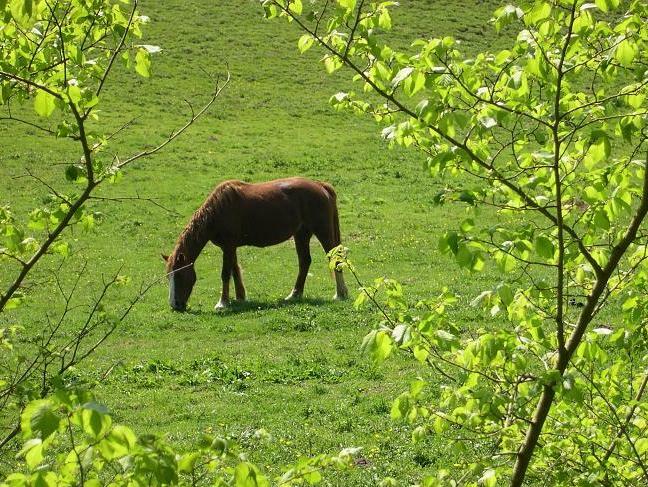 It is the ideal destination for several holiday seekers and most certainly for “horse lovers” those looking for a spiritual retreat or just simply to reload. Tamarindo is also easily reached at just 20 minutes by car where you can go shopping, visit world class restaurants or go out to reggae and salsa bars. Finca Shambalah is divided into 3 parts, an organic farm, a guesthouse and an equestrian centre in a beautiful valley surrounded by green hills. The property is just at 10 minutes horse riding from the beaches……You’ll find here a philosophy on well-being and respect for nature. The equestrian centre is composed of a very beautiful stable with 4 boxes, surrounded by green prairies with shelter where the majority of horses live, as well as a protected track covered in sand. From the 2 prestigious Andalusian blood horses for the highest levels to the “Costaricense de Paso” blood horses for Spanish dressage and finally “Criollos” typical of the country who jump very well for the obstacle and basic courses. They all are equally taken care and loved ! All the activities of Finca Shambalah (horse-riding classes, rides along the beaches and the mountains, mountain biking, canopy, surf, quad, yoga) can be taught in English, Spanish or French. 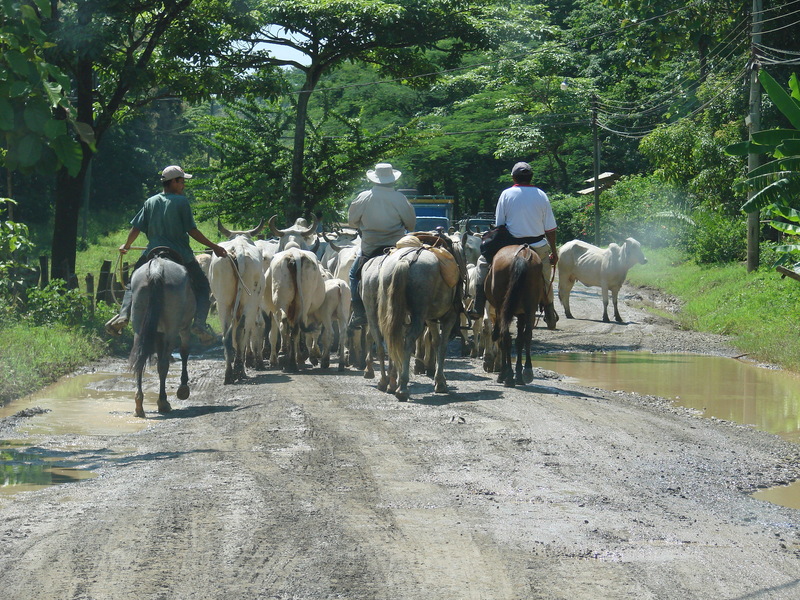 Cattle blocking traffic, bridges with no railings, crater-sized potholes: Everyone who has visited Costa Rica knows that driving can be a challenge here. As a transplanted New Yorker, I know better than most; I’ve been navigating the roads in my adopted country for almost 10 years. Last month, however, my spirited, agile, and endlessly curious 4-year-old presented me with a new challenge, one that nothing in my varied driving experience, whether in the urban jungle of Manhattan or the rain forest of Manuel Antonio, had prepared me for. It was a hot Sunday afternoon and the two of us were heading to the capital city of San José on the sweltering Inter-American Highway when my son let out a yelp of distress. Glancing into the rearview mirror, I saw that, despite my having securely positioned him in his booster seat, he had somehow managed to tangle up his small body in his seat belt. Marveling at his knack for getting himself into such improbable predicaments, I immediately pulled off the road alongside a wooded area. Opening the rear door, I unbuckled his seat belt, thinking that would solve the problem. I found instead that the shoulder strap section was still cinched tightly around his stomach. A little black cloud of panic began forming in my mind, one that rapidly grew to immense proportions when I discovered that I couldn’t pull him out in either direction. There’s no roadside service in Costa Rica, and I didn’t have my cellphone with me, anyway. I could have tried to flag down a car, but they were whizzing by so fast and my son was in such a state that I didn’t want to leave him, even for a moment. His incessant crying plunged me into what is perhaps the most difficult feeling a parent can experience: helplessness. By that point, I would’ve cut the belt if I’d had something to cut it with. It occurred to me that I could retract the belt a little further in hopes that it might then release. But if that failed, my son’s little belly would be squeezed even tighter. Just then a shadowy figure emerged from the woods, a solidly built man with coal-black hair and a loping gait. He wore the kind of pale white shirt and trousers that I’d seen on Costa Rican cowboys, but he had no boots or spurs, and his clothes were so dirty that I feared he might be a vagrant or worse. As he began walking toward us, my panic soared even higher. What if my son’s “Curious George Goes for a Drive” antics ended in a tragedy on the magnitude of Flannery O’Connor’s “A Good Man Is Hard to Find”? Yet when the mysterious stranger reached us, all he did was quietly ask me if I needed help. His dark eyes were calm, even kind, and I found myself more than happy to accept assistance from this cowboy with impeccable timing. I pointed to my trapped son and he leaned in to take a look. After sizing up the situation, he said, “con permiso” – the phrase Spanish speakers use to ask permission to do something that might be considered intrusive. I nodded my head yes. He then bent down beside my son, tracing the path of the smooth gray seat belt with his rough fingers. After a long moment, he instructed the boy to bend sideways and a little bit forward. He then put his hands on the belt, manipulated it in a way that I still don’t understand, and “¡Listo!” My son was free. Overjoyed and more than a little astonished, I patted the cowboy’s shoulder and thanked him profusely. I also reached into my wallet and slipped him a bill, although his unchangingly placid countenance suggested that he didn’t care about a reward. This deft good Samaritan had found a new way to use his roping skills, particularly those he employs when freeing animals caught in harnesses and tethers. And I had experienced the most dramatic example yet of the kindheartedness that is a prized feature of traditional Costa Rican culture.